I have a question about using checkboxes in warning message. Some users want the application to always warn them but some users do not. I want users to choose for themselves. 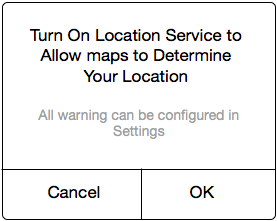 I tried to solve this issue by adding a checkbox in a warning popup dialog but I feel this is not the iOS way. Is there any best practice for this in iOS? Should I instead use a hint under the warning message about the user being able to do this via Settings? This would also hint to the user where they can enable /disable next time. I think this note is a good idea, on the bottom, with a small font-size, but I think it should be more clear, like "You choose to always be asked about settings. Want to change this?" As far as I know, users can set this behaviour as default for any application in their settings pane. Since this is a feature of iOS itself, you don't need to worry about it. If you think that in your case, yours would want to change that settings the best approach would be to just redirect them to that part of the settings screen rather than doing it at your end of the application. Not the answer you're looking for? 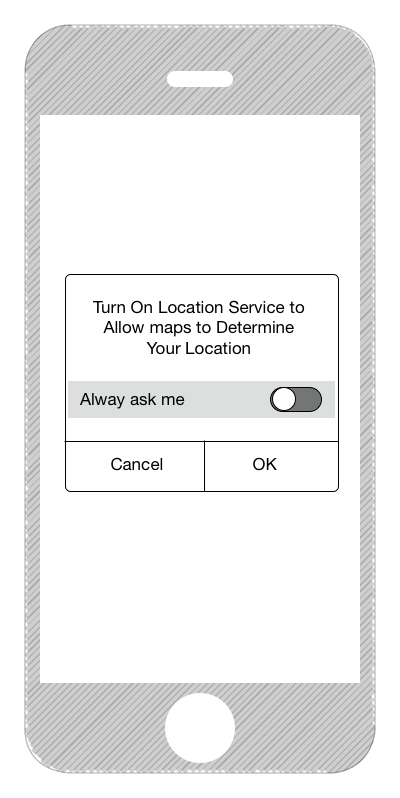 Browse other questions tagged usability design-patterns ios popup best-practice or ask your own question. iPhone - popup dialog for user input: when it's worth using it? Option depends on global settings specified elsewhere - how do I make this clear? Is it a good practice to combine Tab Bar navigation and a Hamburger Menu in an iOS app?